As the Fringe transforms over 300 venues around the city we take a look at three must-see shows taking place at one of Edinburgh's oldest establishments this August. The Edinburgh Playhouse has been a cultural hub of the city since opening its doors as a cinema in 1929. The venue boasts an astonishing programme of the best touring musical theatre, music acts and stage shows from around the globe year after year. As well as this, the venue plays a central role in the annual Fringe, hosting some of the most exclusive shows the festival has to offer. Now in its seventh year, Forth on the Fringe has forcibly marked itself into the Fringe's annual programme. Forth 1's radio breakfast show hosts Boogie and Arlene host an eclectic mix of comedy, music, cabaret and dance shows that encapsulate what the Fringe is all about. Forth 1 has declared its lineup as the most unmissable collection of acts the playhouse has to offer this year. The lineup includes; Nina Conti, Reginald D Hunter, Daniel Sloss, Maureen Lipman, Helen Lederer, Courtney Act and many more. Forth 1 takes over the playhouse for three Forth on the Fringe shows spanning Fri 2–Sat 3 Aug. Tickets for the shows are on sale now. 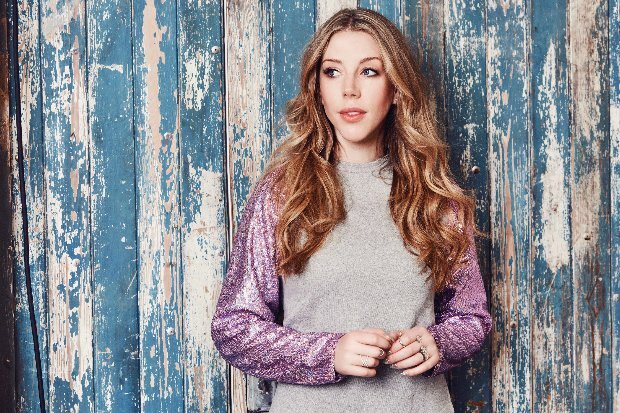 Katherine Ryan's unique, dry and daring sense of humour comes to the Fringe for one night only. Touchy topics such as the #MeToo campaign, celebrities, dating and motherhood will no doubt come under fire. With a seemingly endless 'as seen on' list, Katherine's is the face you know from multiple BBC Panel Shows: QI, Have I Got News For You,Live at the Apollo and many more. Her first Netflix special, In Trouble, came out in February of this year and her recent Channel 4 programme How Did You Get So Rich? gained her rave reviews. As a testament to her busy schedule the Canadian comedian will appear at this year's Fringe for one night only. Catch Katherine Ryan's Glitter Room show on Thu 16 Aug. Tickets are on sale now. The Guilty Feminist has joined forces with Amnesty International to bring The Secret Policeman's Podcast to this year's Fringe. Hosted by the podcast's own Deborah Frances-White, The Guilty Feminist will bring together a powerfully funny and diverse bill of comics and personalities to put human rights at the forefront of this year's festival. Attendees can expect 'hysterical comedy' and 'magical music' with the work of Amnesty International as a central subject. The Secret Policeman's Podcast aims to raise awareness and funds for the charity through the power of laughter and thought provoking topics. The show, which runs for two nights, will be recorded and made available as a podcast following the Fringe. The Guilty Feminist Presents The Secret Policeman's Podcast runs for two nights on Fri 24–Sat 25 Aug. Tickets are on sale now. Witty jokes and pop culture observations from the Canadian stand-up and TV star.